A majority of cats and dogs in the United States are overweight and many pet owners don’t even know it. That sobering statistic from the Association of Pet Obesity and Prevention. The organization released its eighth annual National Pet Obesity Prevalence Survey this week that found 58 percent of U.S. cats and 53 percent of dogs were overweight in 2014. The survey also discovered a whopping 90 percent of the owners of fat cats and 95 percent of the owners of overweight dogs thought their animals looked normal. “The biggest problem is people don’t know that their pets are obese,” said Dr. Steven Budsberg, a veterinary orthopedic specialist and Director of Clinical Research for the College of Veterinary Medicine at the University of Georgia. Budsberg is also a member of the National Association of Pet Obesity Prevention, or APOP. Budsberg said on “A Closer Look” Friday it’s critical that pet owners talk to their vets if they don’t know if their animal is overweight. “It’s been well documented that cats over 10 that are overweight have a four-fold chance of dying. 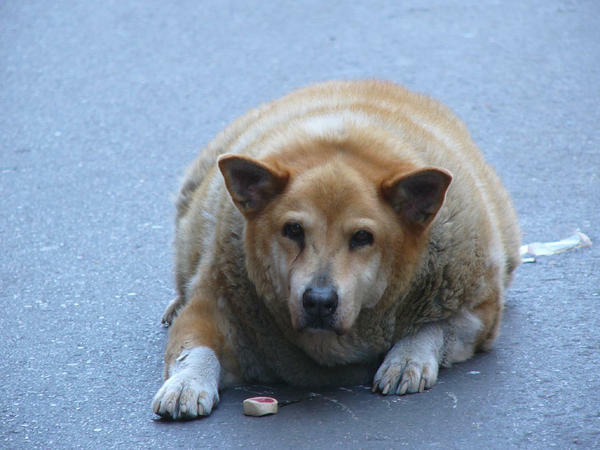 Dogs that are obese live 2 and a half years less than their [healthier] counterparts,” Budsberg said. Animals can develop a multitude of diseases related to obesity, including diabetes, arthritis, and cancer, according to APOP. APOP lists obesity as “the number one health threat pets face” on their website. The group also says “the most important pet health decision owners make each day is what and how much they feed” their animal.